Practice: Fernando advise companies on matters relating to foreign trade, customs law, civil law, commercial law and public law. He also represents clients in special administrative procedures involving public entities like the National Customs Service, the Institute of Public Health, the Department of Agriculture, the Ministry of Foreign Affairs, the National Commission of Anti-Dumping and Price Distortion, among others. 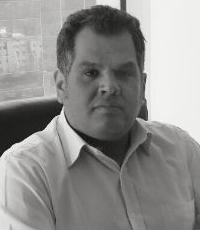 Fernando is specialized in advising his clients in the initiation of international business and the elaboration of a strategic plan for the negotiation of international and local contracts. Fernando also advise clients to fully exploit the tax benefits derived from the international trade agreements signed by Chile. Finally, Fernando handles requirements of the Law on Transparency in specialized fields of international trade. Education and Academic Degrees: Basic and Secondary Education Cordillera High School of Santiago, Chile - Bachelor of Law and Social Sciences, law degree, University Gabriela Mistral of Chile  Memory grade "The Customs Destination of Export" approved with distinction - Degree in Customs Law and Foreign Trade, Faculty of law, Finis Terrae University of Chile - Former assistant professor of the chair of Commercial law, Faculty of law, Gabriela Mistral University of Chile. Languages: Spanish (native)  English (fluent). Cerro El Plomo 5931, Of. 1614 | Las Condes | Santiago de Chile.